Infiniti Computer Repair are laptop repair experts. 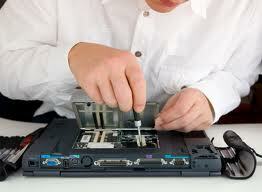 We can repair all makes of laptops. We supply and fix screens, repair broken dc jacks and motherboard repairs. We have a well equipped workshop coupled with experienced technicians to repair most faults. Laptop repairs can be complex and it is easy for the novice to break something. 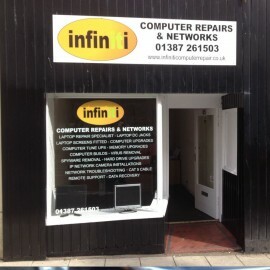 At Infiniti Computer Repair we have the experience and knowledge to get your laptop back up and running as soon as possible. We give a free diagnosis and estimates of the cost upfront. If your laptop is uneconomic to repair we even buy them for parts. All laptops that we get for recycling have their hard drives removed and a secure format is done on the drive to ensure no data is left.